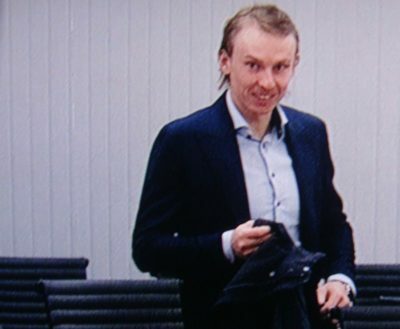 Alpine skier Henrik Kristoffersen swapped his ski gear for a shirt and jacket on Tuesday, to head back into an Oslo court. He’s suing Norway’s national skiing federation to allow him to adorn his helmet with a private sponsor, instead of having to advertise for the national team’s sponsor. Kristoffersen insists he’s not being greedy but simply wants the same privileges accorded other archi rival and not least former teammate Aksel Lund Svindal, who retired this season after having been allowed to sport his private Red Bull sponsor on his helmet for years. “I don’t quarrel about things that are unimportant,” Kristoffersen told Norwegian Broadcasting (NRK) right after the World Cup season ended in Andorra last weekend. “I only quarrel about things that can make me a better skier.” He thinks Red Bull’s sponsorship package would do that, and when that’s denied him, he thinks the skiing federatoin must offer him a similar package. He’s only 24 but already has a history of not being a satisfied team player. He first sued Norway’s skiing federation (Skiforbundet) back in 2016 when he and his father had negotiated a sponsor deal with the energy drink maker Red Bull, only to ultimately be told Red Bull’s logo wouldn’t be allowed on Kristoffersen’s helmet. Kristoffersen demanded NOK 15 million from the federation to compensate him for the loss of revenues from Red Bull that he wanted to invest in his training, travel, and other aspects of his skiing. The Oslo County Court rejected his request for temporary permission to enter into a helmet deal with Red Bull in December 2016. Six months later Kristoffersen was also banned from training with the national team and using its athletic facilities because he hadn’t signed a contract with the team. The team also determined that Kristoffersen had broken disciplinary and sponsor rules on several occasions, after receiving several warnings. The two sides later reconciled and Kristoffersen was allowed to rejoin the team, but last fall, news bureau NTB reported that the dispute between Kristoffersen and the federation would go back to court this spring. The European Free Trade Association (EFTA) had ruled that while control of individual sponsor agreements restricted athletes’ freedom to earn income, athletic organization can also reject individual agreements if they’re not in the best interests of all athletes on the team. More disagreements apparently flared up during the ski season, leading to the resignation of popular team coach Stefan Kornberg just before the World Championships, tied to another conflict with Kristoffersen. When the World Championships ended, after Kristoffersen finally won a gold medal, the team confirmed that Kristoffersen would not be training with the team for the rest of the season. Now the two sides are also quarreling over the contents of two proposed out-of-court settlements, one from Kristoffersen and a counter-offer from the federation. Accusations were flying after their first day in court that Kristoffersen’s side hadn’t fully presented all the demands in their proposed settlement that the federation claims it couldn’t accept. 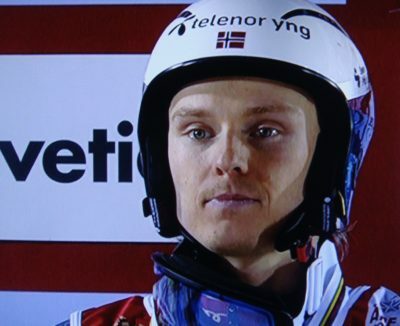 Kristoffersen, meanwhile, claims the federation continues to rob him of chances to gain more support for his skiing. The federation argues against private sponsorships mostly because they fear they will undermine the collective sponsorships the team hammers out on behalf of all team members. In the current model, the federation owns the marketing rights for skiers that it then sells to sponsors. “Kristoffersen is challenging the Norwegian national team’s model,” the federation’s lawyer Per Andreas Bjørgan told reporters on Tuesday. Kristoffersen’s lawyer, Odd Stemsrud, retorts that the case is only about one thing: That Henrik Kristoffersen be allowed access to Red Bull’s support apparatus, so he can compete on equal footing with his international rivals. “Henrik wants to win races and is sorry that the skiing federaton hinders his access to the support apparatus of the same extent and quality that his main rivals have,” Stemsrud told NRK. The county court has set aside six days to hear the bitter dispute, interrupted by the weekend when Kristoffersen also plans to race in the Norwegian alpine championships in Hemsedal.